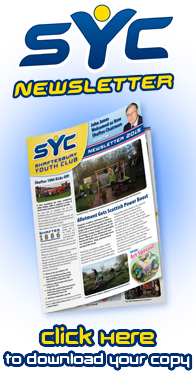 Shaftesbury Youth Club provides a varied programme of positive physical and sporting activities for young people to participate and engage in. There is always some form of activity going on whether it be football, badminton, pool, table tennis or martial arts. Our fully equipped sports hall and extensive array of artificial and grass football pitches provide a quality and safe venue in all weathers and are a popular resource to club visitors and the local sporting communities. There are regular football fixtures and training sessions hosted at the club for adults and children of all ages and abilities. Tai kwon do classes are regularly run at the club through the help of a team of experienced experts. We are currently looking for a under 13's and under 15's football team for next season as well as coaches. Tae Kwon Do is an ideal way enhance yourself physically and mentally. TaeKwon-Do literally transtlates to 'The art of hand and foot'. 'Tae' - To kick or smash with the foot, 'Kwon' - To break or destroy with the hand, and 'Do' - art. All instructors contribute their time voluntarily, any lesson fees are used to cover hall costs, buy new equipment for the club and to fund/subsidise events. This is a mixed class suitable for all levels and ages 5+. This is a class for juniors only (ages 5-12). This is a class for teens and adults (ages 12+).